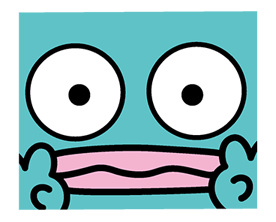 http://www.line-stickers.com/ – HANGYODON Line Sticker | Hangyodon knows the secret to making people laugh. He longs for the spot light and loves playing the hero, but for some reason things never seem to go his way. Good think his octopus pal is there to cheer him up!